This is the place to see in Hannibal. Tour the home, both up and down and see the fence that Tom had everyone paint for him! Its a good way to understand where Samuel Clemens was coming from. 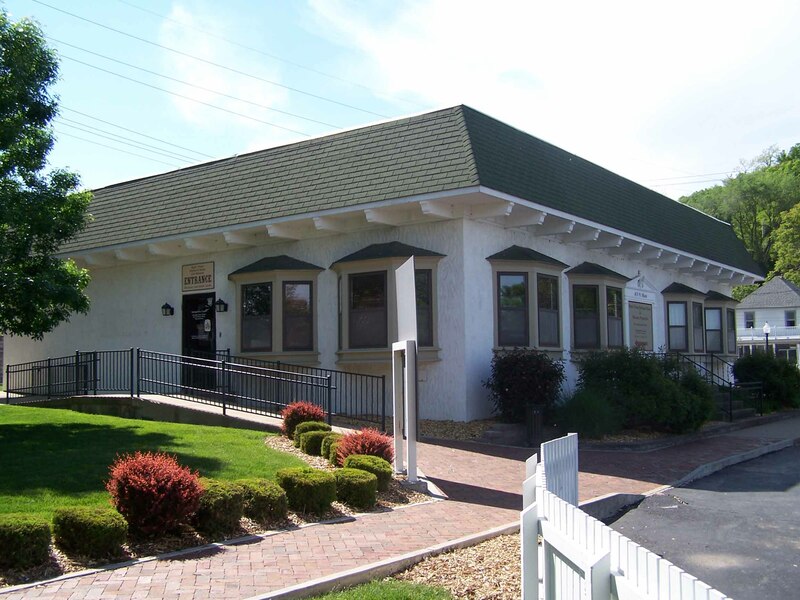 The tickets includes The Interpretive Center, the Mark Twain Boyhood Home, the Boyhood Home Gift Shop, the Huckleberry Finn House, the Becky Thatcher House, the J.M. Clemens Justice of the Peace Office, the Grant's Drug Store/Pilaster House, and the Museum Gallery. We suggest at least 1 to 1 1/2 hours to view all of the buildings. Daily New for 2006 Fridays & Saturdays the Museum will be open until 7:00 p.m.! Which is correct? Sam Clemens or Mark Twain? The real person was Samuel Langhorne Clemens. When he began writing, he chose the nom de plume, or pen name, of "Mark Twain." "Mark Twain" is a riverboat term measuring two fathoms (12 feet) in depth: mark (measure) twain (two). Did Mark Twain live his entire life in Hannibal, Missouri? Samuel Clemens was born at Florida, Missouri. His family moved to Hannibal when he was four. He lived here to age 17, then left town. He traveled the world, with a long residency in Hartford, Connecticut. Did Mark Twain always wear white suits? No. In December, 1906, he wore a white suit while appearing before a congressional committee regarding copyright. He did this for dramatic emphasis. Several times after that he wore white out of season for effect. He has been portrayed as the white haired gentleman in the white suit, but this was only sporadically at the end of his life. Did Sam Clemens have brothers and sisters? Yes, Sam Clemens was one of seven children. The family of John Marshall and Jane Lampton Clemens included Orion, Pamela, Pleasants Hannibal (died in infancy), Margaret, Benjamin, Samuel and Henry. Sam Clemens married Olivia Louise Langdon on February 2, 1870 in Elmira, NY. They had four children, Langdon (died in infancy), Susan, Clara and Jean. How many descendants are there of Mark Twain? Three of the Clemens children died before marrying - Langdon, Susan (Susy) and Jean. Clara did marry and had one daughter, Nina Clemens Gabrilowitsch, who died at the age of 55; Nina never married, and she had no children. There are no living descendants of Mark Twain/Sam Clemens. What does "Mark Twain" mean? On the river, the depth of the water was vitally important. A mark was the same as a fathom on the sea or six feet. Twain means two. If the man checking the depth called out "Mark Twain," it meant a depth of twelve feet, "safe water" for riverboats of the day. Why is there a large stone wall behind the Boyhood Home? The stone building next to the Boyhood Home was completed in 1937 as a WPA (Works Project Administration) project to house a museum. At the time there were wooden buildings downhill of the Boyhood Home and a lumber yard to the north. The stone wall was constructed as a fire wall between the properties. Although it has nothing to do with the Clemens family, it is historically significant in it own right. How long has the Boyhood Home been a museum? The Boyhood Home of Mark Twain was given to the City of Hannibal in 1912 and opened to the public on May 15th of that year. It is one of the oldest historic preservation projects in our country. Were Tom Sawyer, Becky Thatcher, and Huck Finn real people? The characters in The Adventures of Tom Sawyer and Adventures of Huckleberry Finn were loosely based on real people. Mark Twain identified some real people as models for characters. See Tom Sawyer and Huck Finn Character's page. The first cabins at Hannibal were constructed and the community founded in 1819 by Moses Bates. Hannibal was chartered as a city in 1845. Why is there a lighthouse on top of Cardiff Hill? In 1935 Hannibal celebrated a year long anniversary of Mark Twain's 100th birthday. The lighthouse was constructed to shine a beacon over the festivities. It was never a navigational lighthouse. The original lighthouse was replaced in the 1960s and refurbished in 1994. How long was Mark Twain's river career? He started as an apprentice in April of 1857, became a fully licensed pilot on April 9, 1859, and left the river when the Civil War broke out in May of 1861. When was Mark Twain born? And died? Mark Twain was born on November 30, 1835, at Florida, Missouri. He died on April 21, 1910 at Redding, Connecticut. Halley's Comet was in the skies both when he was born and died. When the Clemens family lived there, how big was Hannibal? The U.S. Census reports 1,024 people in Hannibal in 1840; 2,050 people in 1850. The family left in 1853. By 1860, Hannibal's population was 6,505. Why is one of the museum buildings (Grant's Drug Store) also called the "Pilaster House"? Pilasters are the tall flat columns on the outside of the building, a distinctive architectural feature. Did Becky Thatcher ever marry? The real girl, Laura Hawkins, whom Mark Twain named as the model for Becky Thatcher, married Dr. James Frazer. She had two sons. She lived most of her life in or near Hannibal. Where is Mark Twain buried? Mark Twain is buried in his wife's family's cemetery, Woodlawn Cemetery, Elmira, New York. Are any of Mark Twain's family members buried in Hannibal? Mark Twain's parents, John Marshall and Jane Clemens, his brother Henry, his brother Orion and Orion's wife, Mollie, are buried in Hannibal's Mt. Olivet Cemetery. 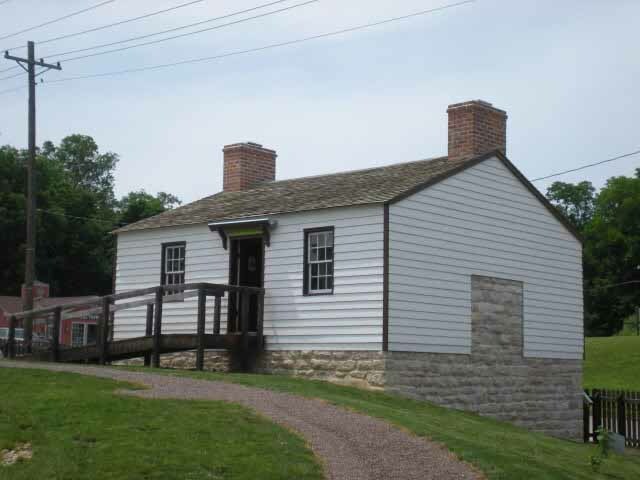 Is the Boyhood Home and Museum: run by the State of Missouri? ; run by the National Park Service? ; funded by taxes? 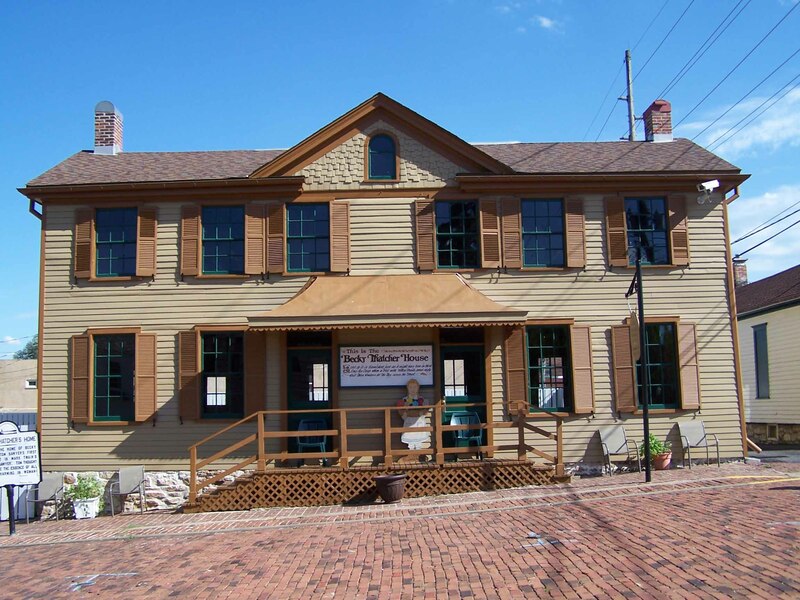 The Mark Twain Boyhood Home and Museum properties are operated by the Mark Twain Home Foundation, a not-for-profit foundation, funded by admissions, gift shop sales and donations. There is no direct state or federal involvement and tax dollars do not support the museum. 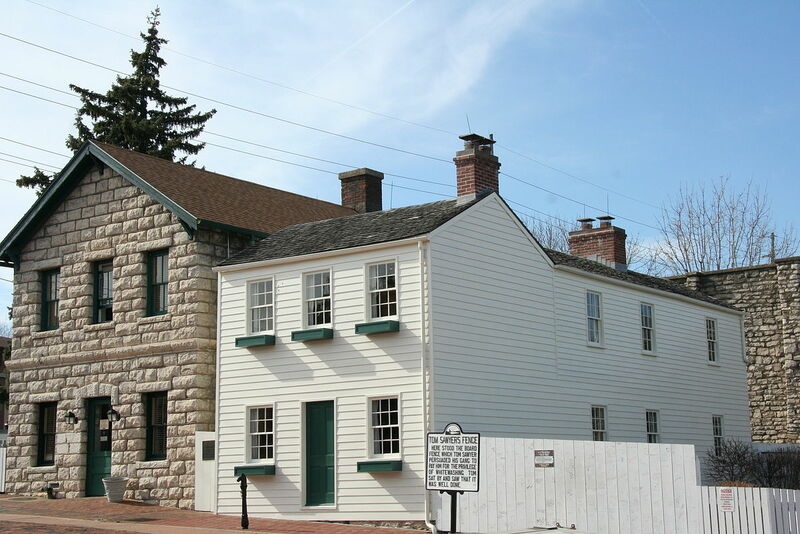 What does the Mark Twain Boyhood Home and Museum include? 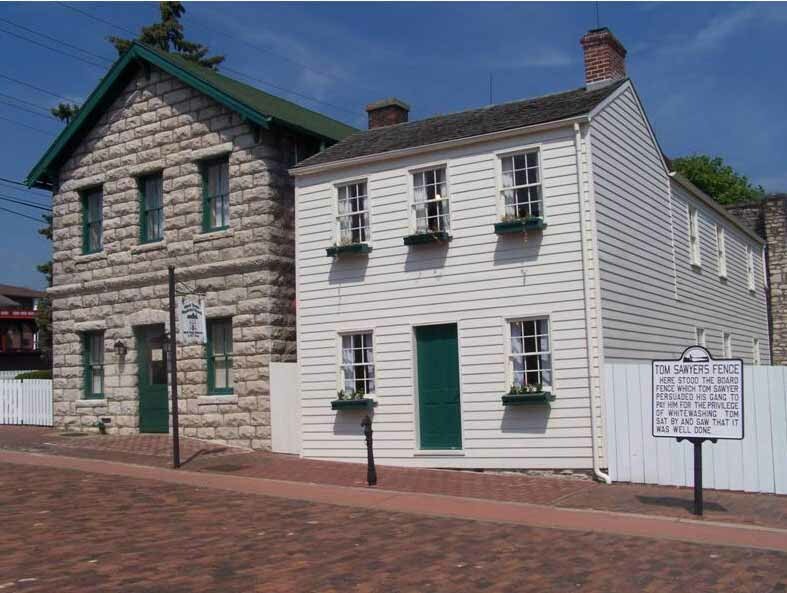 The museum properties include five historically significant properties: the Mark Twain Boyhood Home, Becky Thatcher House, John M. Clemens Justice of the Peace Office, Grant's Drug Store (or Pilaster House) and the reconstructed Huckleberry Finn House. Museum buildings include the Interpretative Center and Museum Gallery. The Museum Store is housed in the WPA stone building, and the Tom & Huck Statue grounds complete the museum properties. How many books did Mark Twain write? 28 separate book releases plus collections of short stories. The number depends on one's distinction between what is a short book or a long short story.